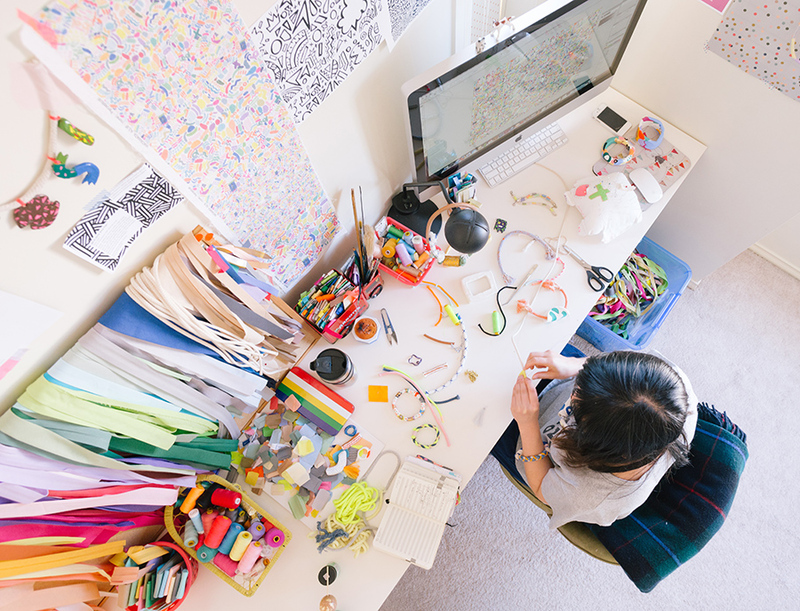 It’s pretty impossible not to be completely obsessed with the creative work of Shuh Lee. Don’t believe us? Read on! Of course, be sure to pop by the Shuh. 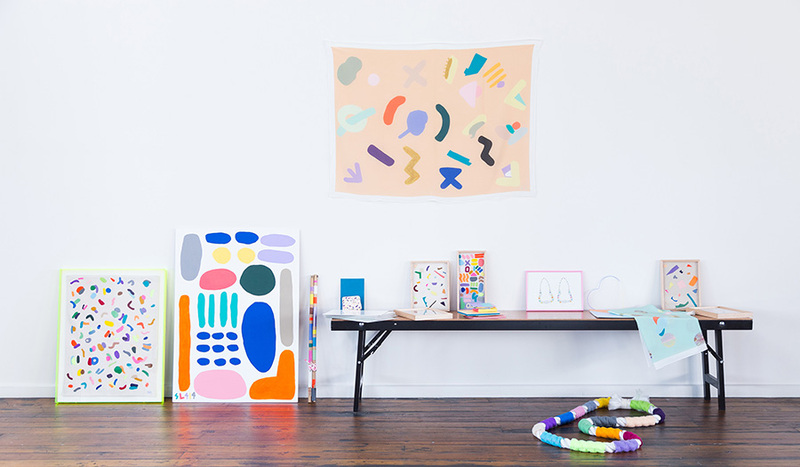 stall at our Sydney market in May for an amazing array of technicolour handmade goodness. I have been interested in art subjects since I was young. I would draw or do something crafty when I had free time. I remember contributing artworks regularly for my club’s newsletter (I was in the Interact club) or competing in local art competitions! 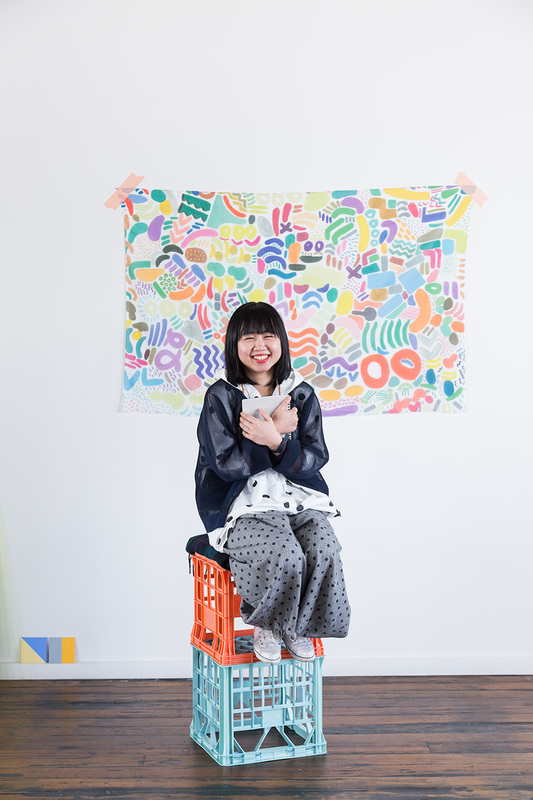 Without much thought, I took up arts in high school and college in Kuala Lumpur before leaving home to complete my Fashion Degree at RMIT University in Melbourne. After years of learning design, I decided to take a break and worked full time in retail. Earning a regular income was great but I felt something was missing in my life – doing something creative. The turning point was when I reopened my sewing kit and started stitching again. I then slowly moved on to drawing and painting. I don’t know why but I felt so excited about creating and having fun with materials. I realised from that moment on, that this is what I want to do for life. 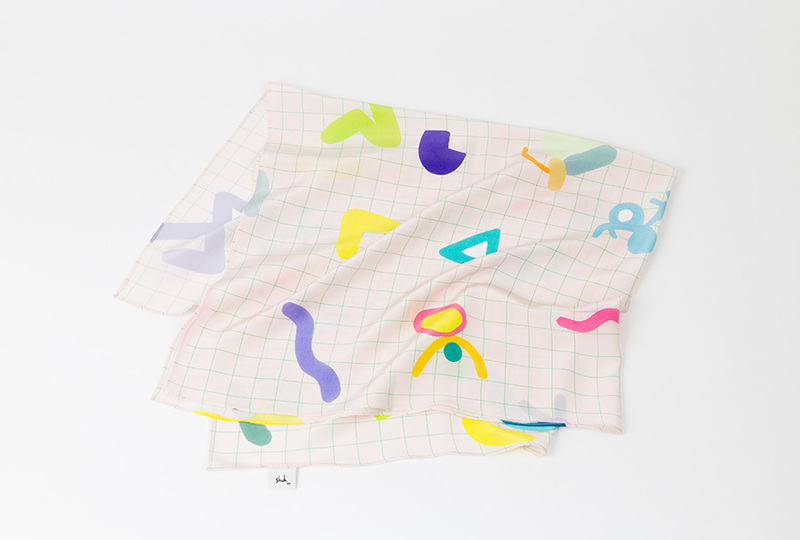 image features silk scarf – designed by Shuh. 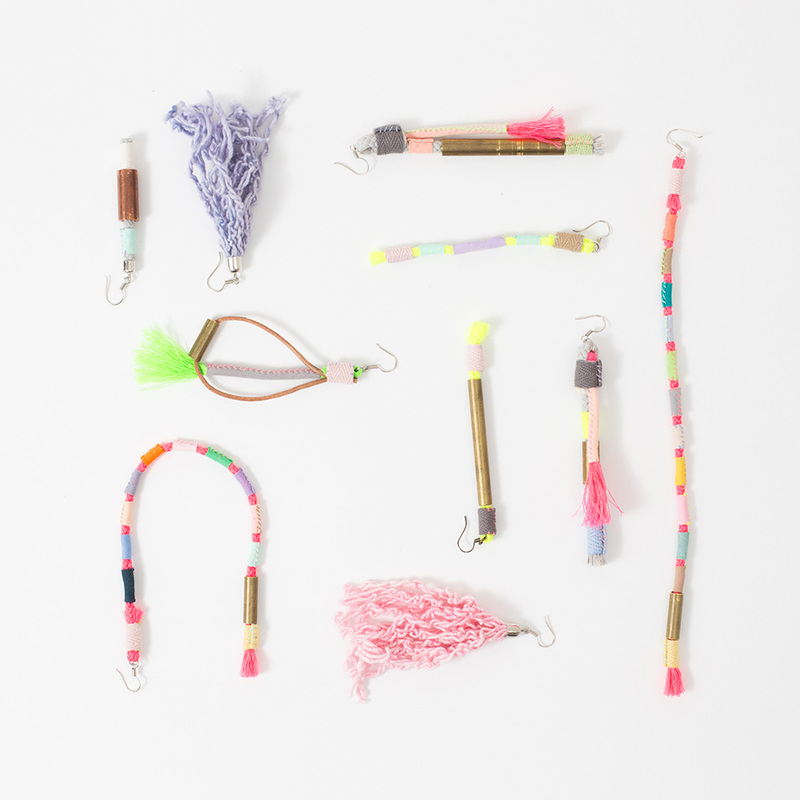 image features jewellery – handmade and designed by Shuh. 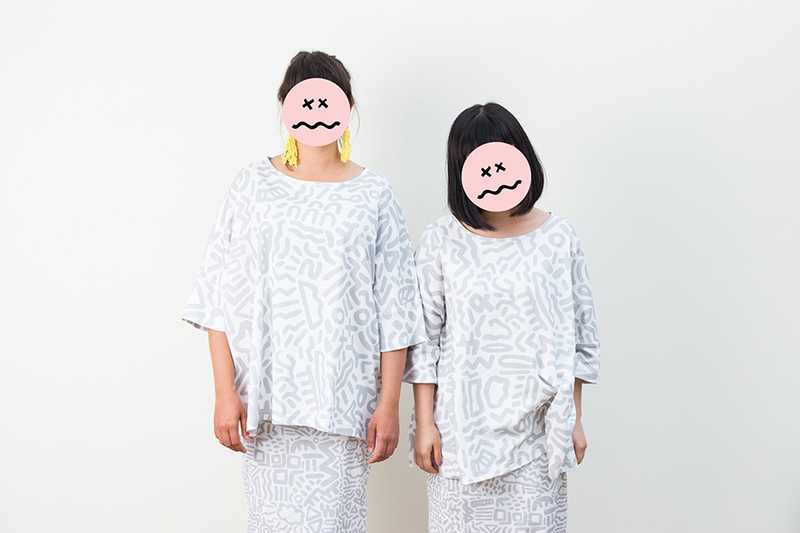 image features GRAFFITI clothing range made with organic cotton – designed by Shuh. Tell us something exciting that you have planned for Shuh this year. I am currently taking ceramic classes as I want to learn more about working with clay. I hope I would be able to incorporate what I have learned into my upcoming work. Other than that, I hope to have new prints (on paper and textile) every year! 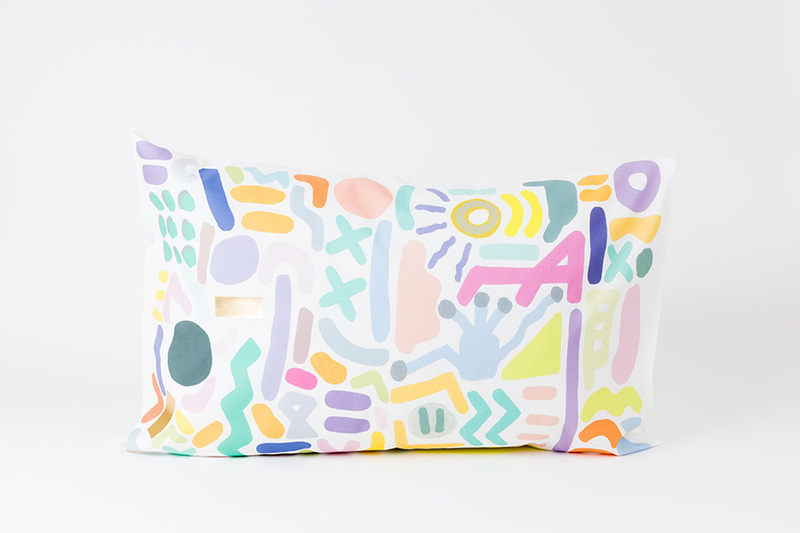 image features GOOD AFTERNOON NAP PILLOWCASE in organic cotton – designed by Shuh. 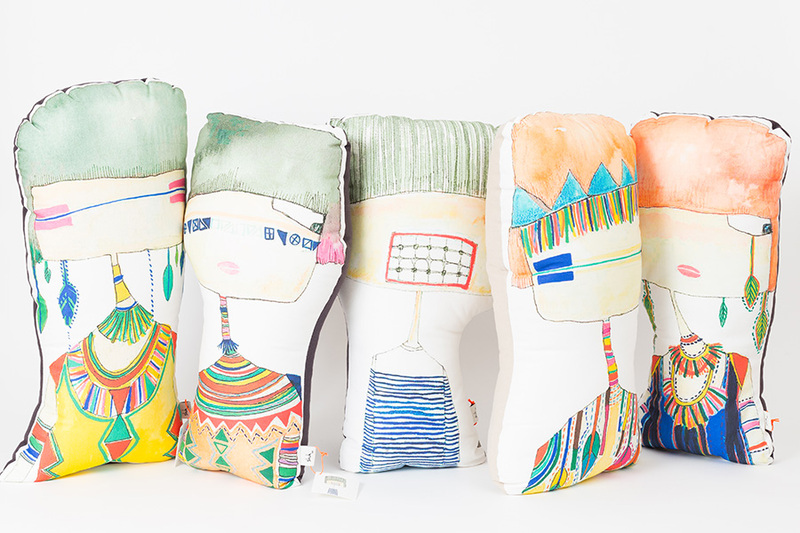 image features Girl cushions – designed by Shuh. Colours. Any tone of colour. I can’t imagine not using colours in my work as it represents how I express myself creatively. I would pick the one off necklaces or earrings. It is how shuh. started and I believe is the foundation of the label. I love that every piece is one of a kind and limited in quantity. I save it as a project for my play time. There are no rules or time limits; I really enjoy putting materials together and stitching. I treat them as artworks and documents every piece before it gets sold.